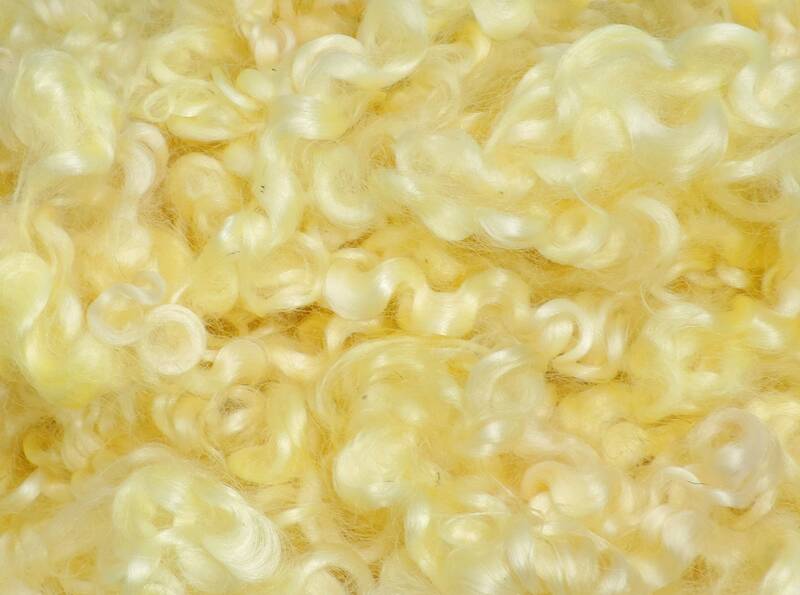 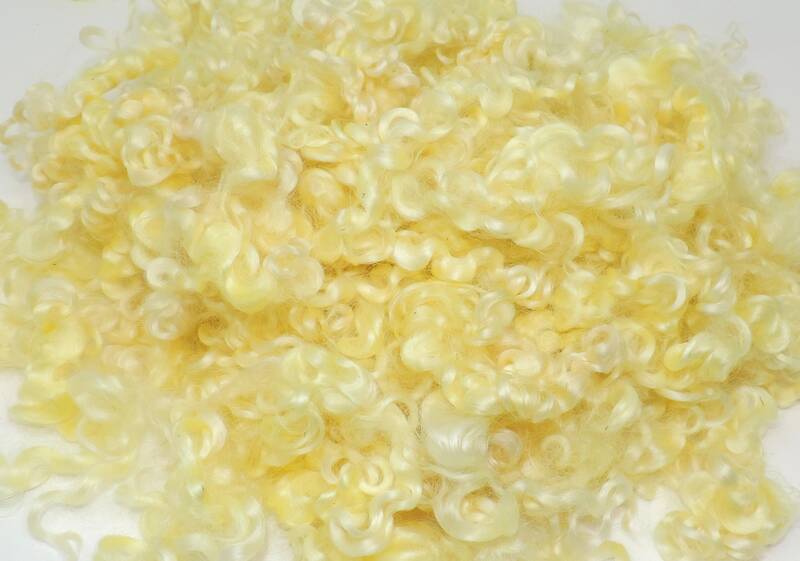 Lovely, pastel yellow, hand dyed Leicester Longwool fleece with a 5-6 inch staple. 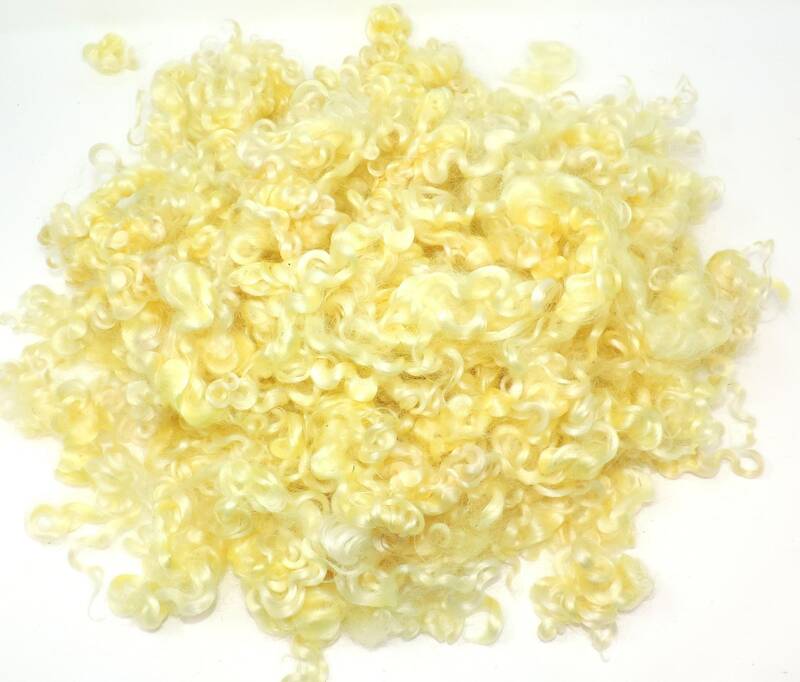 The locks pull apart very easily and they are very soft. 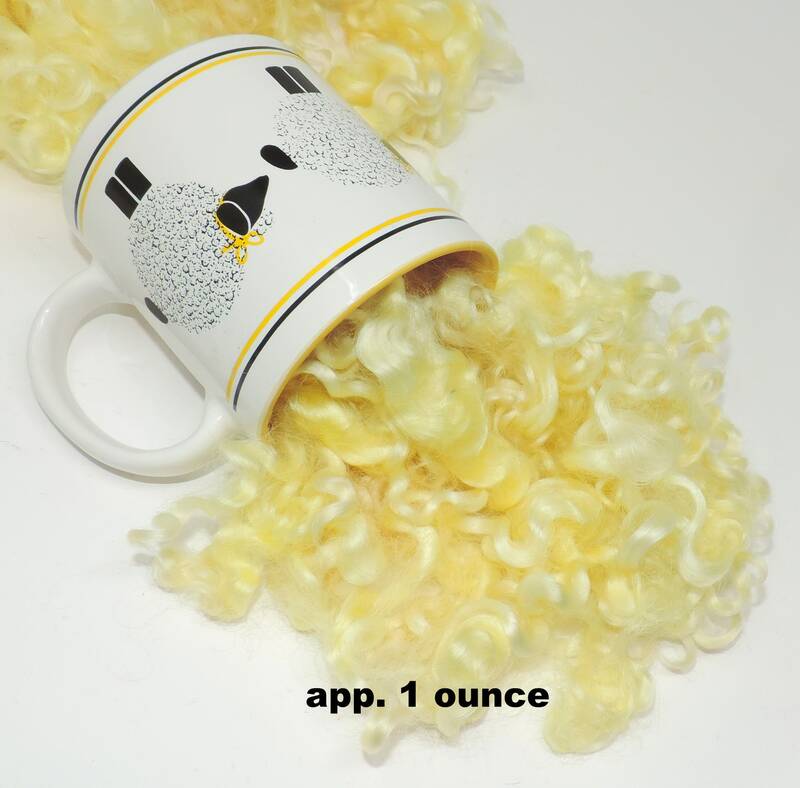 They can be used for spinning, needle felting, nature scenes, landscape felting, doll hair, lock spinning, art batts, weaving, embellishments, blending, Gnomes, add ins and more. 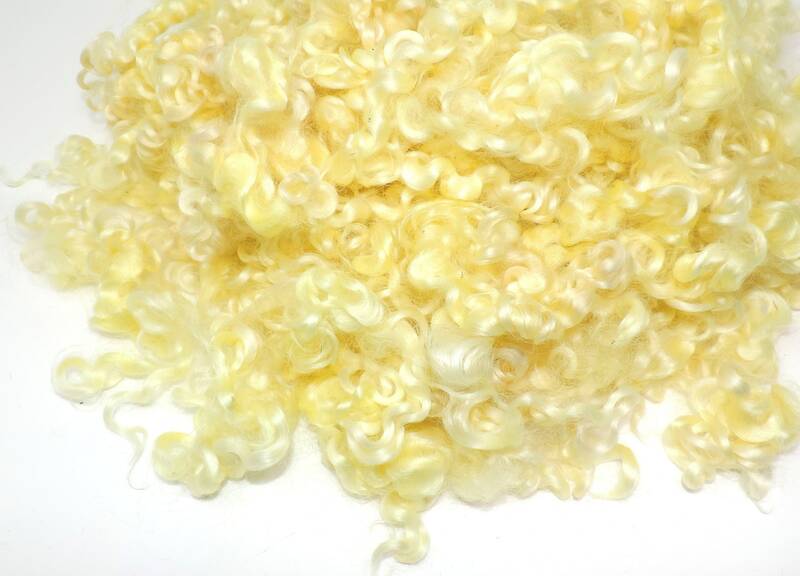 Available in .5oz (14g) and 1 oz (28g) bundles.